- In a session titled "Rethinking a Studio for the Digital Space," THQ Digital creative director Don Whiteford discussed the publisher's burgeoning specialization in digital games, discussing learnings from his rebranded THQ studio. Along the way, he revealed its debut XBLA/PSN title, top down vehicle combat title Red Faction: Battlegrounds, a topdown car, mech and rover combat title for Xbox Live Arcade and PlayStation Network with up to four players on the same screen. In addition, various achievements in the game -- which was built by a core team of just four people -- will unlock unique elements in retail franchise continuation Red Faction: Armageddon. - BioWare's Dr. Ray Muzyka and Dr. Greg Zeschuk delivered an Q&A-style look back on the founding of their studio and the creation of the seminal Baldur's Gate franchise. The duo referenced their early years' inexperience in conventional game business, yet success with Baldur's Gate through their passion and a love of the art. The duo ended with a teaser of some potentially exciting new titles, as yet unannounced, coming out of the Virginia-based BioWare Mythic office that currently operates stalwart, still-profitable titles such as Warhammer Online and Ultima Online. - Talking in a packed keynote, Creative Director of Disney's Junction Point studio Warren Spector (Epic Mickey) delivered a lyrical discussion of video games and how the medium should -- and shouldn't -- learn from other media to shine in its own right. Referencing film, radio, comic books and board games, Spector illustrated the importance and power of the user's imagination and videogames' 'power to transport' - the ability to become another character entirely, and how they can immerse people in worlds that appear completely believable. - In the first of the "Focus Russia" series of sessions, Dmitry Lyust and Konstantin Popov gave an overview about the Russian market. They cited figures suggesting that Russia's online games market will grow from $223 million in 2009 to $400-410 million by 2012, and that the Russian market for casual games will grow from $32 million USD to $42 million USD by the end of this year. Lyust and Popov also discussed Russia's recent welcoming climate for business and investments from abroad, and particularly pinpointed government plans to build up a "Russian Silicon Valley" inside a special economic zone near Moscow. 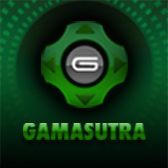 - Other notable lectures covered by sister site Gamasutra include the creators of Limbo on puzzle balancing for their XBLA hit, plus the challenges of motion control in Red Faction 2, and new analysis of Heavy Rain by its creator David Cage, plus Playfish's Jeferson Valadares discussing intuition versus metrics. Video and sync-ed slide versions of the lectures will also be available to GDC Vault subscribers shortly after the show. 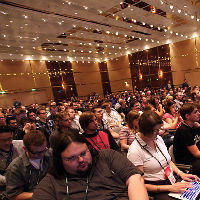 In addition to the conference content, GDC Europe provides several opportunities for creative exchange and business development, with venues including the GDC Europe Expo Floor, VIP Lounge, and the GDC Europe Business Lounge at gamescom, plus a host of industry parties. More than forty exhibitors and sponsors from Belgium, Germany, the Netherlands, Russia, Sweden, the UK and the USA have registered for the exhibitor zone measuring 650 square meters. 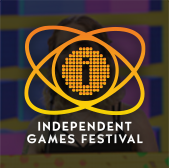 Exhibitors include Crytek, Bigpoint, Epic, Howest University, Imagination Studios and Intel. In addition, GDC Europe also has a business lounge at the accompanying games expo, gamescom, at which Autodesk, Crytek, Epic, Zotac, DigiProtect, Level 3 are confirmed to be exhibiting. 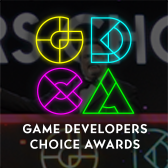 For more information on the show, please consult the official GDC Europe website.